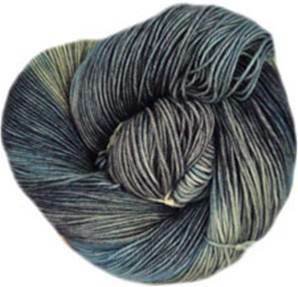 Botany Lace knitting yarn is made by Araucania in Chile from pure extra fine merino wool and is hand dyed. It's a tightly spun, springy yarn, approximately 3 ply, and knits to a tension of 29st to 10cm on 3.25mm needles. Each skein is dyed individually so to ensure a consistent effect if using more than one skein, it's recommended to use 2 skeins and swap them every 2 rows. Botany Lace knitting yarn can be hand washed with care or dry cleaned. 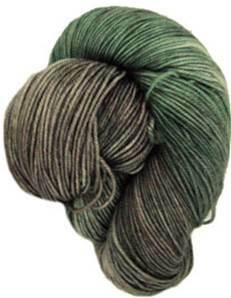 410m, 450 yards per 100g skein. Araucania Botany Lace knitting yarn, 1794. Springy 100% extra fine merino, hand dyed in Chile, approximately 3 ply. 410m per 100g skein. Araucania Botany Lace, 1795. Springy 100% extra fine merino, hand dyed in Chile, approximately 3 ply. 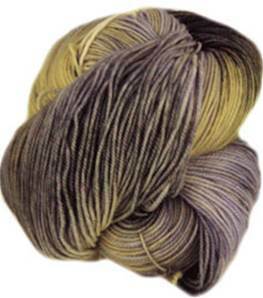 410m per 100g skein. Araucania Botany Lace, 1798. Springy 100% extra fine merino, hand dyed in Chile, approximately 3 ply. 410m per 100g skein.